Dickens began writing his “Little Carol” in October, 1843 and finished it by the end of November in time to be published for Christmas. Feuding with his publishers, Dickens financed the publishing of the book himself, ordering lavish binding, gilt edging and hand-colored illustrations and then setting the price at 5 shillings (considerably low for all the extras) so that everyone could afford it. This combination resulted in disappointingly low profits despite high sales. In the first few days of its release the book sold six thousand copies and its popularity continued to grow. The first and best of his Christmas book, "A Christmas Carol" has become a Christmas tradition and its easily Dickens’ best known work. On that cold and lonely Christmas Eve in Dickens’s "A Christmas Carol", Ebenezer Scrooge is visited by his late business partner, who tells him three other ghosts will visit him. Each one shows him different visions of different Christmases in his life in hopes that he will change his miserly ways. It’s the travels Scrooge takes with each ghost that melt that impossibly cold exterior to reveal a truly warm heart and the true spirit of Christmas. 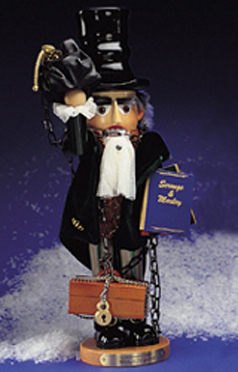 In 1997 Steinbach premiered their brand new series, "A Christmas Carol" Nutcracker Series to honor the beloved tale of Ebenezer Scrooge from "A Christmas Carol" written by Charles Dickens. 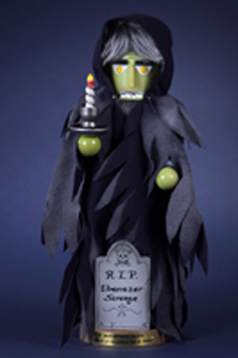 Ebenezer Scrooge was the first edition to the new "A Christmas Carol" Nutcracker Series. The miserly gentleman of the tale learns the true meaning of Christmas after some harsh lessons. It’s not about his account ledger that he grasps so tightly under his arm, but rather about spreading hope and good will to those who are less fortunate. Scrooge (ES896) stands 18 and ½ inches tall and was limited to 7,500 pieces. “God Bless Us Everyone” shouts Tiny Tim, as he epitomizes the holiday spirit and the true meaning of Christmas. The delightful Steinbach "A Christmas Carol" Nutcracker Series continued with the second nutcracker, released in 1998, in the series "A Christmas Carol", Bob Cratchit and Tiny Tim (ES1820). Mr. Cratchit is a stately gentleman arrayed in Victorian dress with a dapper top hat. He is the very picture of holiday cheer with his festive scarf and the adorable Tiny Tim perched on his shoulder. Mr. Cratchit underwent a few changes while he was being developed. He was released in perfect condition with a tan colored top hat, which was originally green. This nutcracker stands 17 and ½ inches tall and was limited to 7,500 pieces. 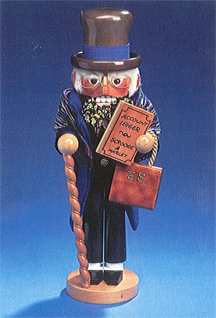 In 1999 Steinbach’s "A Christmas Carol" Nutcracker Series expanded with the introduction of Marley’s Ghost (ES1819) making this nutcracker the third in the series. Even as a ghost, Jacob Marley still maintains an elegant stature in a suit quite fitting of someone of his wealth and position in society. But don’t let the expensive clothes and moneybag fool you. As we all know from the story, this gentleman was doomed to an eternity in chains for his greedy and miserly ways. He carries his moneybag filled with gold throughout time as a reminder of his selfish behavior. This nutcracker is highly elaborate with a fine attention to detail from the jewel on his cravat down to the gold lacing on his shoes. Due to the late arrival of Marley’s Ghost this nutcracker was technically an item for 2000 but a minimal quantity was available for 1999. This item was limited to 7,500 pieces. The story of "A Christmas Carol" set the stage for the 2001 release of the fourth addition to the Steinbach "A Christmas Carol" Nutcracker Series with the Spirit of Christmas Present (ES1817), a robust and mischievous spirit with a hearty sense of humor who brings Scrooge up to date on the “present” state of affairs. This nutcracker stands 17 inches tall and was limited to 7,500 pieces. 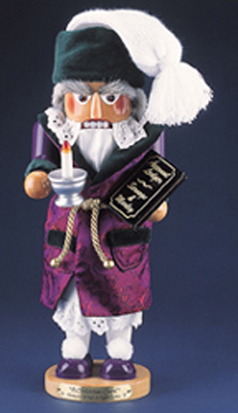 In 2002 the Steinbach "A Christmas Carol" Nutcracker Series introduced a new selection, Scrooge in Nightclothes (ES1804). This nutcracker features Scrooge in his very famous nightclothes when he was roused from his sleep by visitors of the night; Marley’s Ghost, Ghost of Christmas Past, Ghost of Christmas Present and Ghost of Christmas Yet to Come. 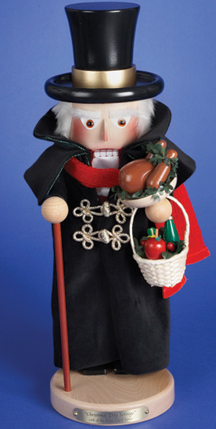 Scrooge is the fifth in the "A Christmas Carol" Nutcracker Series and was limited to 7,500 pieces. The next limited edition to the Steinbach "A Christmas Carol" Nutcracker Series was introduced in 2003 was Charles Dickens (ES1803). 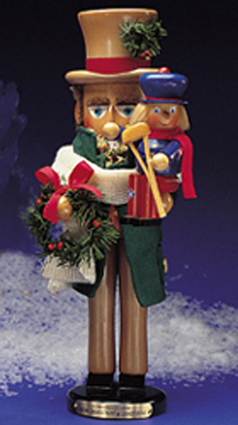 This nutcracker is the sixth edition to this series. His pen carefully crafted the most popular Christmas story known. Where would we be without Bob Crachit, Tiny Tim and Scrooge with his famous quote “Bah, Humbug”? Charles Dickens carries with him the secret to his famous Christmas tale. 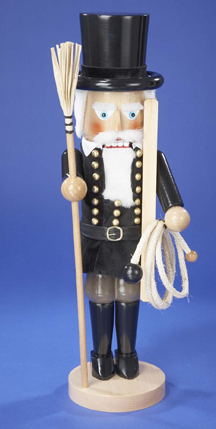 This handsome nutcracker stands at 18 inches tall and was limited to 7,500 pieces. Steinbach was delighted to honor the Charles Dickens classic first published in 1843. In 2004 we were introduced to the enchanting Ghost of Christmas Past (ES1898) into the Steinbach "A Christmas Carol" Nutcracker Series. With her magic wand this beauty helps re- ignite Scrooge’s joyous, distant memories. Portrayed by Dickens as an ethereal vision composed of light, a silvery crown and flowing robes, the Ghost of Christmas Past is beautifully brought to life as a new Steinbach nutcracker. Standing 17- inches tall, the Ghost of Christmas Past was limited to an edition of 5,000 pieces. It is amazing how the Steinbach artisans were able to capture the beauty, mystery and magic of Dickens’s character. In the tale, Ebenezer Scrooge sees the joy and love that life has to offer because of the lessons learned from his ghostly visitors. The Ghost of Christmas Past nutcracker is sure to inspire the same happy thoughts in you. 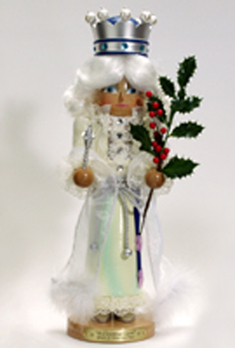 In 2005 Steinbach’s "A Christmas Carol" Nutcracker Series continued with the silent spirit of the Ghost of Christmas Yet to Come (ES1897). Garbed in a hooded coat and cape of shaded black and gray felt, our somber Spirit quietly bids farewell to Ebenezer Scrooge as his candle light the way to future Christmas joy and happiness. This exclusive nutcracker joined numbers one through seven. Steinbach was delighted to honor the Dickens classic. Its inspirational theme of sharing and giving resonates as much today as it did when Charles Dickens wrote the story in the 19th century. 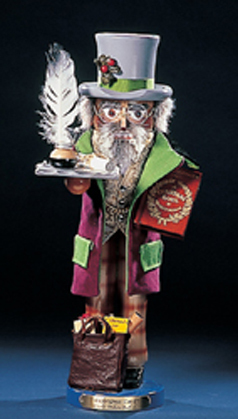 Steinbach’s "A Christmas Carol" Nutcracker Series continued in 2006 with the introduction of Mr. Fezziwig (ES1917), the jovial merchant with whom Scrooge had an apprenticeship. At almost 17 inches tall this limited edition piece of 7,500, nutcracker is dressed to tee with a shiny black top hat and stunning red coat. This was the ninth piece in the series. Next in the Steinbach "A Christmas Carol" Nutcracker Series was Mrs. Cratchit (ES1918) making her tenth in the series. Mrs. Cratchit was Bob Cratchit’s wife and Tiny Tim’s mother. 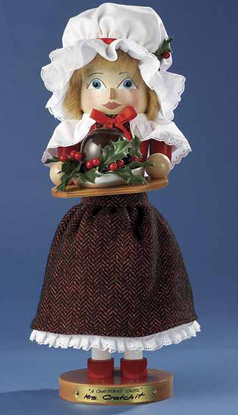 This nutcracker is dressed in her Christmas best holding on a tray the family’s Christmas dinner. She has a white bonnet on her head with a red ribbon and holly around it. Mrs. Cratchit wears a red printed dress and red shoes. Her bright blue eyes sparkle in the light. The next edition to the Steinbach "A Christmas Carol" Nutcracker Series is the Christmas Day Scrooge (ES1915) Nutcracker. This nutcracker represents the Scooge that emerges from his room after the three ghosts have visited him on Christmas Eve. He holds a Christmas feast that he is delieveing to the Cratchit family. This nutcracker is a limited edition of 4,000 pieces and is also available signed (ES1915SIG). 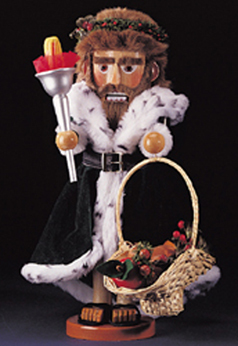 In 2008 Steinbach decided to extend the Steinbach "A Christmas Carol" Nutcracker Series and develop the Steinbach Dickens Townsfolke Nutcracker Series. This new nutcracker series will feature a number of craftsmen from "A Christmas Carol" time period. The first nutcracker to appear in the Dickens Townsfolke Nutcracker Series is The Lamplighter. This nutcracker stands at 18.5 inches tall and is an exclusive limited edition of 7,500 pieces. There are also a limited number of pieces signed by Karla Steinbach (ES1919SIG). 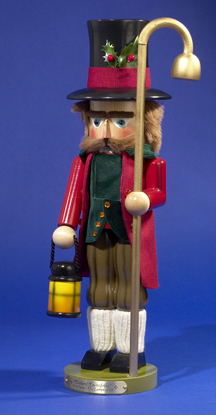 This Lamplighter nutcracker comes complete with a lantern in one hand and a hook in the other to turn out the lights. Historically a lamplighter was employed by the town and lit all of the streetlights with a wick on the end of a long pole at sundown and at dawn return with the same pole with a hook on the end to turn them off. 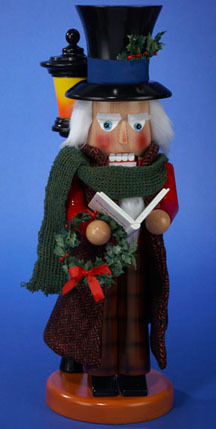 In 2009 Steinbach added a new addition to the Dickens Townsfolke Nutcracker Series, The Chimney Sweep (ES1920) Nutcracker. 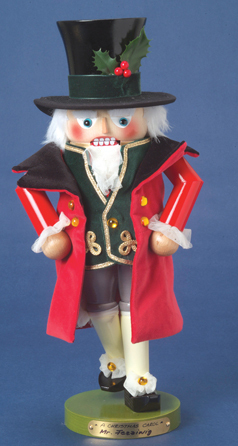 This nutcracker stands at 18.5 inches tall and is an exclusive limited edition of 7,500 pieces. There is also a limited number of nutcrackers signed by Karla Steinbach (ES1920SIG). Charles Dickens was an English novelist born in 1812. 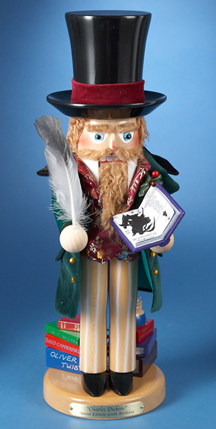 Responsible for some of the most well-known works of literature, he is celebrated by Steinbach with this Special Edition “Charles Dickens” nutcracker, a limited edition of 5,000 pieces. At 18” tall, he is festively dressed and is featured with some of his most popular works such as A Christmas Carol, David Copperfield, Oliver Twist, and Great Expectations. Like all of Steinbach's creations, he is hand-crafted in Germany with the finest care and attention to detail.